Weeds and rapidly growing flowers can quickly overrun an entire garden plot. The resulting mess requires effort to restore the flower bed to a healthy living space for your plants. Learning how to fix flower beds involves effort and continued maintenance to keep the landscape looking sharp. 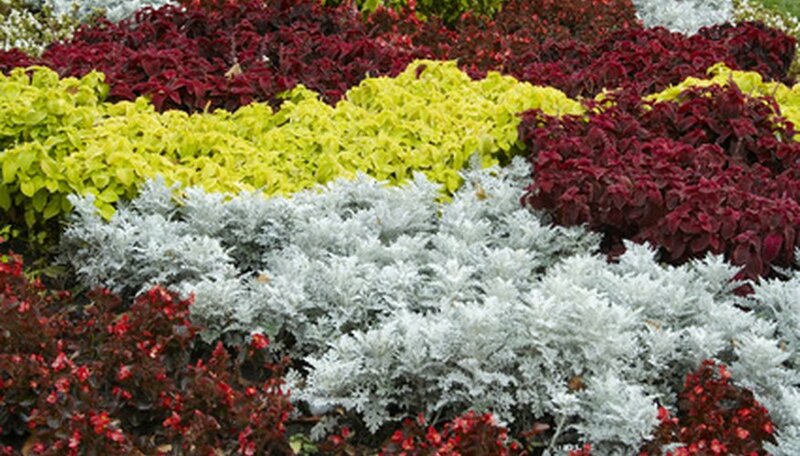 A well-deserved makeover allows each plant to have impact as a decorative accent for your home. Use a hoe to rake the top 2 to 3 inches of soil between existing flowers to remove weeds. Stretch forward by an arm's length with the hoe blade and place the hoe blade into the soil. Wiggle the blade into the soil and pull back towards your body. The hose strips surface weeds right out of the soil as well as loose dirt. Pick through the collection to remove all weeds and smooth the soil back over the flower bed surface. Examine the condition of existing flowers. Perennials are those plants that return each year as consistent base plants in the flower garden design. Perennials feature sturdy foliage and produce flowers during a specific blooming period of two to three weeks each year. Prune dead or dying foliage close to the nearest healthy stem. Clip off dead flowers right behind the flower head. Determine which plants need division. Plants require some air circulation around the foliage to promote good growth and to limit disease. Individual clumps spaced very closely should be divided. Dig up the entire perennial clump, tip it onto the side, and place the shovel blade into the center of the clump. Step down to split the roots in half. Return one part of the parent plant to the garden and find another spot for the remainder of the plant. Deadhead annual flowers by removing spent flower heads with your fingers or pruning shears. Check these plants for spindly growth habits. Prune back those plants with extended stems with little foliage. Leggy annuals with flesh out with new foliage in a few weeks after this rejuvenation type of pruning. Tidy up the entire flower garden with a 2- to 3-inch layer of fresh mulch. This gives the flower bed a finished appearance. Mulch also assists in retaining moisture and discouraging weeds. Water each plant well in the soil around each plant to reach the roots. Colorado State University: Buying another house? Pay attention to landscaping.